It’s been nearly a decade since tenor Russell Thomas was last in Seattle—as a Seattle Opera Young Artist. 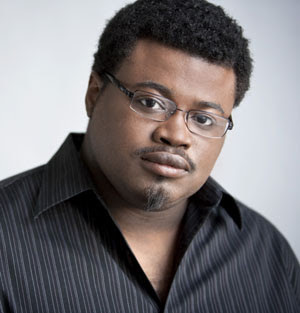 Now he returns to sing Foresto in the alternate Attila cast, performing on Sunday, January 22. We talk to Thomas about his character, his experience with the Metropolitan Opera’s 2010 production of Attila, and how young artists programs have helped him kick off his career. You were a Young Artist in the 2002/03 season. Where has your career taken you since? When I left Seattle Opera’s Young Artists Program in 2003, I was invited by the Metropolitan Opera to join the Lindemann Young Artist Development Program. I was there for three seasons, made my debut, and had a great meeting with the director Peter Sellers. He invited to do a production with him, and then he introduced me to John Adams, the American composer. After that, John Adams invited me to do a world premiere with him, and those things sort of kicked off my career. What’s it like to return to Seattle after all this time? A lot has changed in the South Lake Union neighborhood [where Seattle Opera’s offices and rehearsal space are located] since 2003! There are a lot more buildings and new construction and restaurants that weren’t here before. But even though it’s been nine years, the city is still very familiar to me. I can get myself around. Russell Thomas as Foresto in Seattle Opera's production of Attila. Let’s talk about Foresto, your character in Attila. On a positive note, he’s an inspirational leader to his people—but he also has a jealous, angry streak when it comes to Odabella. Our opening night Foresto, Antonello Palombi, says Foresto is just confused by her actions, and not really a jealous guy. What do you think? I think it’s a bit of both. Without the jealousy, he becomes Don Ottavio, and not a person who really is a hero and is about to start the city of Venice. He also has this whole other issue, where he's afraid Odabella is being held captive—but when he finally sees her among the Huns, it looks like she’s just there of free will, like she wants to be there with Attila. So he is confused, yes, but at the same time, once she explains herself, he doesn’t buy it, because in the next scene when he’s ready to poison Attila, she stops him. So there is some confusion. There’s an angle of jealousy as well. What was your involvement with the Met’s recent production of Attila? What was your experience like? 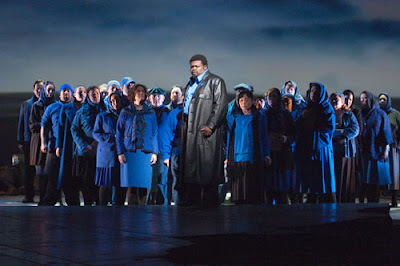 I sang Foresto in a couple performances, but I also sang the role of Uldino, the other tenor role in the opera. The production was a bit difficult to grasp, but the best part of it and the experience was having Riccardo Muti there. He was amazing, and he was so nice to me. He gave me so much of his time, because Ramón Vargas, the first cast Foresto, got sick, so I had to do a lot of the singing in rehearsals. He really tried to help me sing this role in a healthy way, in an Italian way, because who knows that better than Riccardo Muti? So now I get to try to bring that expertise here. Another reason everyone put so much hype on the Met production was the costumes designed by Prada, but the only things that really looked like the Prada style were the coats and the boots and shoes, which were admittedly pretty cool. I actually prefer the costumes here in Seattle, because you can more easily tell by how each character is dressed and their color scheme which group of people in the story—the refugees, the Romans, the Huns—they belong to. Susan Neves (Odabella) and Russell Thomas (Foresto) in Seattle Opera's production of Attila. How seriously should we take this opera? The plight of the refugees feels extremely real; but as in a lot of bel canto operas, the grim story inspired lots of peppy, jolly music. The music being peppy and jolly was just a style; this is where they were musically. This is a transition from Donizetti and Rossini to the Verdi style that we get to know later down the line, in Don Carlo and Otello and so on. This is sort of in-between, like Verdi’s trying to stick to those traditional bel canto roots but at the same time build his own signature sound. That’s why the music is the boom-cha-cha that people know, and it’s up to the singer to make something happen beyond that. That was the point of bel canto: the orchestra stayed out of their way so the singers could show off what they could do technically. As for the story, it is very serious. Especially the first few scenes when they’re starting Venice, that’s a very big deal. And when Ezio’s character talks about saving Rome, maybe he’s trying to being a traitor to his people—that’s what Attila calls him—but I feel like he’s trying to save his people while getting something for himself at the same time. As a former Young Artist, have you had the opportunity to interact with any of our current Young Artists? Only Jason Slayden, who sings Uldino in Attila, and only in terms of our interactions on stage, but not much. It’s a recent development that our Young Artists have the opportunity to perform in mainstage productions. 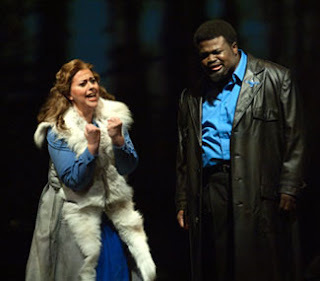 The year that Seattle Opera did Norma, us YAP tenors thought, “Why aren’t we doing Flavio, instead of hiring an outside singer?” [Laughs] It probably would have saved a little money! But the whole point of young artists programs is to get young artists familiar with a company and its tradition, so when they get older, you can perhaps bring them back. Thanks for taking the time to give the interview about life post YAP. We heard your Foresto on Sunday, and very much enjoyed your interpretation of the role. Hope we'll have the opportunity to hear you again soon.